There are dozens of attorneys in the Atlanta area who are qualified to assist an injured person in pursuing a personal injury claim. While a large majority of such claims are filed for car accident injuries, there are other reasons why one may seek the services of a personal injury attorney – slip and fall accidents, nursing home abuse/neglect, etc. There are some attorneys who specialize only in certain aspects of personal injury law (such as handling only car accidents), while other attorneys branch out and offer a broad range of services for injured parties. When you perform an Internet search, you may notice that there is a plethora of personal injury attorneys out there. You may also notice billboards, newspaper advertisements, radio advertisements, and even television commercials where attorneys offer their services to those who have been injured and need legal help. When you are looking for an attorney yourself, you may quickly become overwhelmed by the choices. Luckily, there are things that you can do to narrow down the choices, while ensuring that you are picking an attorney who is best-suited for your case. 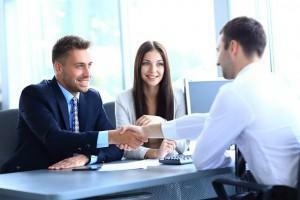 If you hire an attorney, you will sign an agreement contracting his or her services. But, before you sign any documents, there are things that you must do to narrow down the choices, and make sure that the attorney you have selected is the best for your particular injury claim. Don’t give into the advertisements. Advertisements will give you a false impression of an attorney’s capabilities. Some lawyers will advertise themselves as general personal injury lawyers, but in reality, they don’t offer services to all. Call the law firm and ask about their specific experience with your type of case. For example, if you were injured in a slip and fall accident, ask the law firm how many slip and fall injuries they handle each year. You may be surprised at how few of those specialty cases one firm will take – even if they advertise themselves for that injury. Check with the Georgia Bar. An attorney must be registered with the bar association for the state, as well as the county. Look to the Bar Association to see which personal injury attorneys are available to you in your area. There is no hidden interest from these associations; in fact, they can even provide you with insight as to any disciplinary actions taken against a specific attorney in the past. Meet in-person. Meet with the actual attorney who will be handling your case. Then ask how often you will be dealing with him or her directly, versus his or her secretary, other attorneys in the office, or even paralegals. Ask to meet with all team members whom you will deal with on a daily basis. It is important that you feel comfortable with not only the lawyer whom you’re hiring, but the entire office staff, since you may spend a large majority of your time interacting with them, too. If you have been seriously injured, contact the expert attorneys at Van Sant Law. We are nationally recognized personal injury lawyers who offer our services for claims regarding car accidents, truck accidents, dog bites, food poisoning, medical malpractice, and more. Schedule your consultation today at 404-991-5950 or fill out our online contact form with your legal questions.